Bought new in March 2000 I ordered it in June 1999. 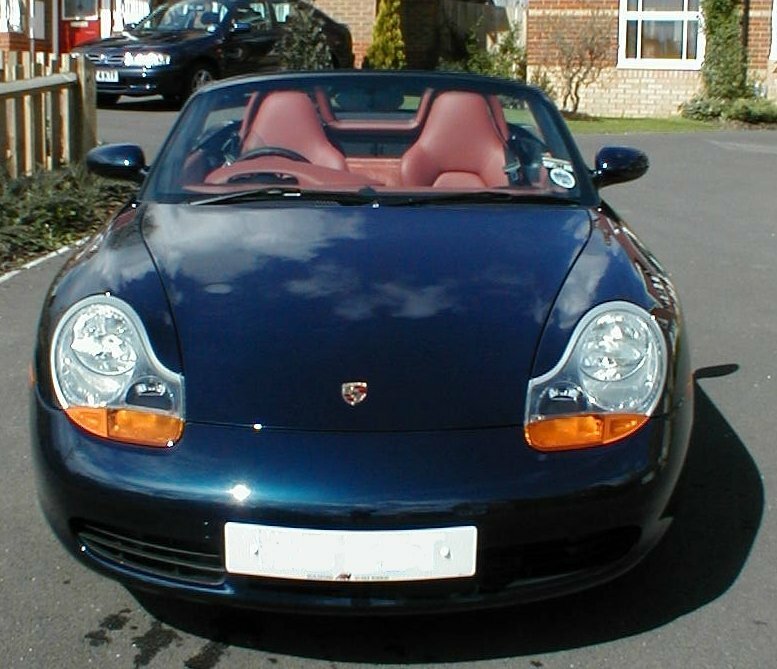 It was Ocean Blue, with a Metropol Blue hood, and a Boxster Red interior. It had Sports Seats, Full Leather Upholstry, Wind Deflector, 17" Sport Classic Wheels, Upgraded Becker stereo and Sound Package, Air conditioning and a trip computer. 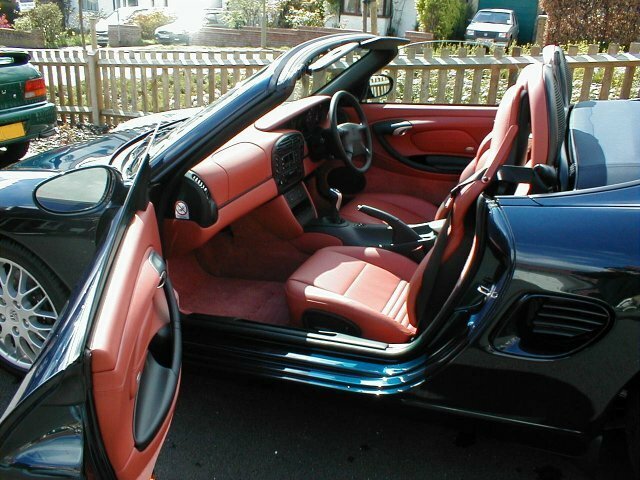 A fairly high spec - the options added 25% to the car's price. 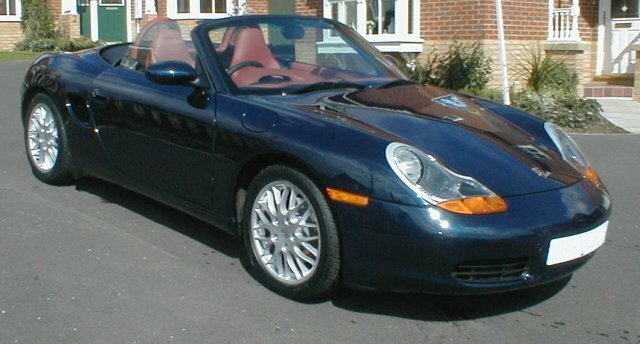 Faults: Handbrake sensor replaced June 2000. Radio sometimes not turning off when keys removed, so Radio was replaced. Rear screen needed replacement by the time I sold it, possibly due to me raising or lowering the hood when the temperature outside was too cold. Otherwise, the car was awesome. It was practical (enough) and had fantastic handling. Sold in September 2004.